Most boys of teen age are either still at school, college or studying on some kind of course. 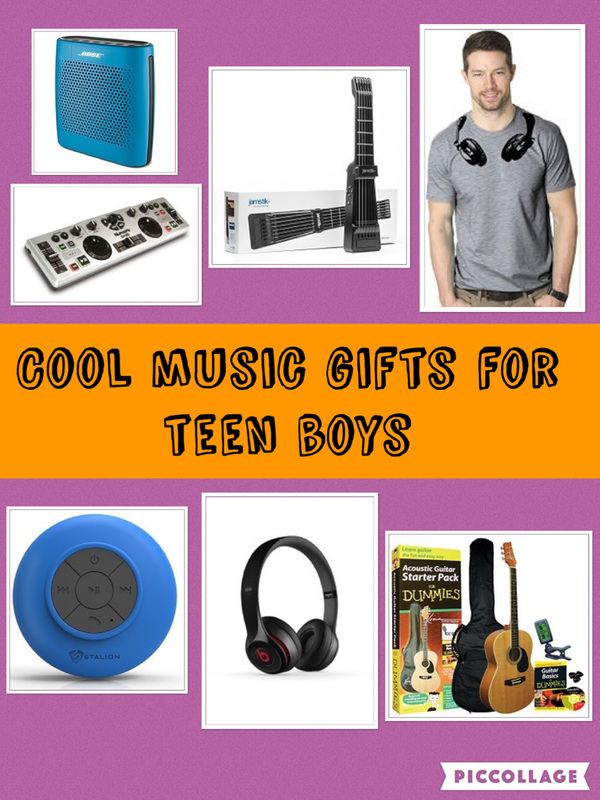 If this is the case for the teen boy you know, there are some cool gifts that will help them in their studies but will also make their lives easier. 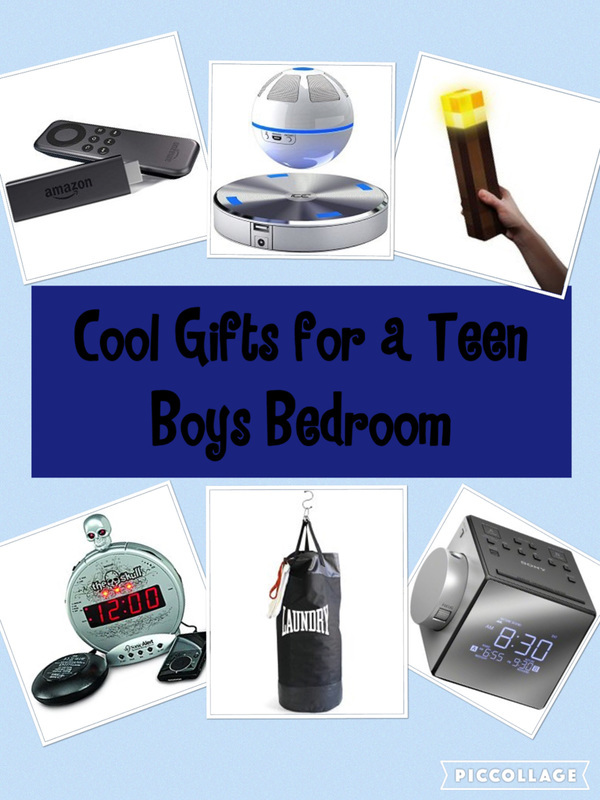 The gift ideas below are designed to be gifts teen boys will love too. The lapdesk is designed so you can use a laptop in comfort whether you are sitting on the couch. lying in bed or travelling. The lapdesk opposite is especially designed for student and has a clip to keep papers safe. ​ It also has a comfortable micro bead bottom which is designed to reduce heat emmitted from the laptop. It fit most laptops and tablets and you can use it at different angles so it doesn't matter what position you are lying or sitting in. Another idea to help you study where you want is a bed rest. A bed rest offers support when you want to study or read in bed. As well as studying you can use if for watching TV in bed. Or even having breakfast in bed. Its spot clean with a damp cloth and you can get it in a variety of different colors. The space pen is such a cool little gadget which makes an inexpensive gift (great for stockings and secret santas too). This pen just always works! It's designed to work in space which means the pen will write at any angle and on different surfaces. So you can write leaning against a wall or against somebody's back. Its small so can easily fit in your pocket to have on you at all times. It will write underwater too. This pen is great for college. It will record everything you write and hear so you don't have to remember a word. There's 2gb of memory for your recordings which will hold over 200 hours of audio or 32000 pages of notes. So, many teen boys are doing exams or are off to college. There are some great books with practical information and tips that will help them get the most out of their studies. I love the book opposite as it advices how to get the best marks by studying smarter and not harder. It advices teens how to study well so they can have a social life as well as being a top student. I wish I'd had a copy when I was at college. One thing students have to do is read a lot. Many students will use their tablets or phone to read e books. However, these are not always very good if he wants to read a book outdoors in sunlight, if the battery runs down quickly or his eyes get tired from screen glare from reading in the dark. Why a kindle paperwhite e-reader makes a fantastic gift for a student? 1.) It features a high resolution e-reader display for crisp laser quality text. 2.) There is no glare in bright sunlight. 3.) It's really lightweight so is extremely comfortable to hold in one hand for long periods of time. 4.) It only needs charging monthly, not daily like a phone or tablet. ​5.) With its built-in front light, the Kindle guides light to the surface of the display unlike back lit tablets which shine in your eyes.This means he can read comfortably without eyestrain. It’s possible to adjust the screen's brightness for reading in any light. 6.) It can hold thousands of books so he doesn't he have to worry about running out of storage. ​There are also many other fantastic features such as time to read which will let you know how long it will take to get to the end of the next chapter based on your reading speed. Export and share notes, use the vocabulary builder to save new words, share your library, adjust the text size and lots more too. As a student it's highly likely that he has many devices to charge. Perhaps a phone, tablet, laptop and a portable speaker. And if he is somebody who forgets to charge devices quite often, he would probably love a charger that can charge devices quickly. The Anker 6-Port USB Charger could be the answer to these problems. It can charge up to six devices at once and it can charge devices up to 4 times quicker than the standard charger. ​It’s also very portable so if he's at college it's quick and easy to pack up if he goes away or back home to visit for the weekend. If you’re not sure whether to get a college student a laptop, tablet or one of each than the Microsoft Pro 4 could be the answer to this dilemma. It markets itself as the tablet that can replace your laptop. It has the power of a computer but without the bulk. For students this means it is great for taking on the go between home and class. Take your notes in class directly onto your main laptop. The Pro 4 has a 12.3-inch screen and comes with a stylus which is great for taking notes with OneNote. There are different versions of processor and storage. The one featured has am Intel Core m3 processor with 128GB of storage capacity and most students would be happy with that but there are more expensive versions with better processors and more storage. It doesn't come with a keyboard but one can be purchased separately and used with it. This is such as cool practical gift that he won't realise how much he needed it until he is using it. It's likely that he will have to think lots of gadgets, chargers and cables around in his back. He will need to take them to college or when he's going away for the weekend. It's so easy to get gadgets, wallets, chargers, phones, headphones, portable batteries lost in the bottom of the bag. But no more. ​Keep everything organised and secured safely in the grid it. It's easy to take in and out of your bag, just keep everything in the elasticated retention system and transport about if and when needed. Cool! Get rid of all those little bits of scrap paper with the boogie board writing tablet. This is a super thin lightweight tablet. It’s super portable and can easily be transported to and from school or college as well. It’s great for having by your side when you are writing an essay, doing a presentation or answering questions to write notes and do working out. When you have finished what you are writing just press the button for a clean slate. As well as being great for assisting with college work it can be used in lots of other ways too. Doodle to your heart’s content, leave messages around the home for family, friends or room mates, write to do lists and write shopping lists. Anything that you have previously used scrap bits of paper for, can be used with the boogie board. Fantastic for helping save the environment too. Imagine if we all had one of these, how much paper we would save. A backpack or messenger bag which is stylish and practical for taking his stuff to and from school or college. Check out the best backpacks and messenger bags for some ideas. A Chromebook - Chromebooks are small, lightweight and very inexpensive notebooks. They aren't for everybody and often make a good second backup laptop but they have tons of advantages. For example, as they are lightweight they are extremely portable. They are set up and ready to use in seconds which makes them extremely convenient. Find out if a chromebook would make a good gift for your teen boy in this article. ​Book voucher - if he has to buy textbooks for college, a book voucher can be extremely useful. Amazon Prime subscription for college students - Amazon Student allows college students to get prime membership at a reduced rate. They can try it for 6 months free of charge, then get 50% of prime while they are a student. This is fantastic if they are likely to watch things on prime video, listen to prime music and use the two day shipping option when buying stuff from amazon.